Notification message is created automatically based on a scriptable template. 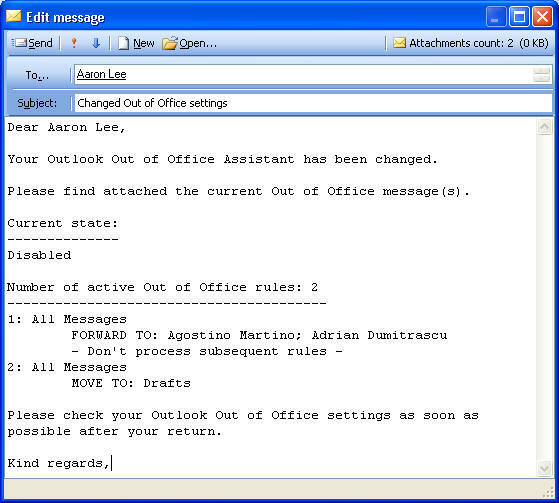 All information about Out of office state and rules and the recipient is prefilled by OOF-Admin. You only have to send the message.